In the comments section of Petar’s IlluxCon post, a young artist asked what it cost to exhibit at this or that show. It’s not really a secret, but getting answers can take a little digging. So, for the curious artist just hitting the circuit, here’s a breakdown of some of the overhead that comes with a few of the shows we’ve talked about on MC. But let me start out by saying what should be obvious: exhibiting at shows (whether they’re conventions or non-genre focussed art fairs) isn’t for everyone. First there’s the cost for space, then there’s the price for any additions to the space like electricity, a phone line or high speed internet connection. There’s the cost to create personal display material and signage, the cost of manufacturing prints or other multiple goods to sell, the cost of getting your stuff to the venue and back home, the cost of your hotel room, your meals, your transportation…it all adds up. Shows require some serious planning to do them right, take a fair bit of time out of your schedule, and there’s no guarantee that you’ll sell enough to cover your costs (if you sell anything at all). That’s the thing: it is impossible to predict whether what you’re selling will have an enthusiastic buyer. A show one year might have customers wrestling over everything you have; the same show the following year may leave you in the red and baffled at what happened to all your fans. Up and down, good years and bad, they are all part of the natural cycle. 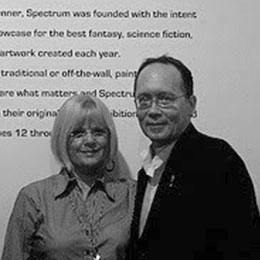 Spectrum Fantastic Art Live started last May and will be held again in 2013 as part of the 20th Anniversary of the Spectrum annual. There are 6 artist Guests of Honor and it features 200 10’x10′ artist exhibitor booths: booths are $350 each (the price increases to $450 at the first of the year) and comes with 4 memberships. All artists, regardless of the medium they choose to work in, are welcome. A single day ticket is $20; a three day ticket is $40. Panels, workshops, portfolio reviews, and parties are included at no additional charge. The Art Department will be hosting a late night life-drawing party for the second year running and there will be other educational opportunities for artists just starting out, all included with the admission ticket. 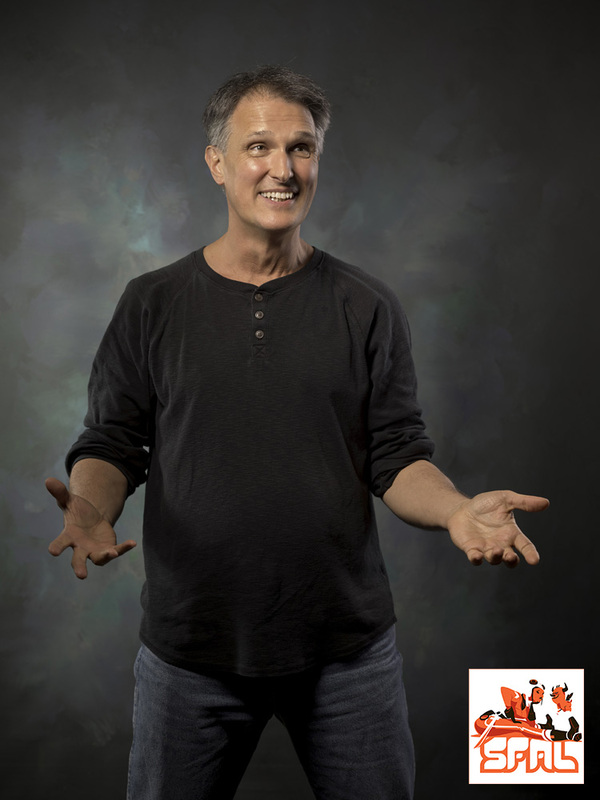 Greg Spalenka runs his Artist As Brand Workshop for a fee as a completely separate event leading into SFAL, but he includes a membership to the convention as part of his package. The hotels are within walking distance of the convention center, restaurants, clubs, and other attractions. The awards for Spectrum #20 will be presented at the Midland Theater with live professional entertainment. A little over 2000 people attended the first show; it will grow in 2013 but there are no plans to place limits on attendance at this time. Dates: May 17-19, 2013. Location: Kansas City, MO. 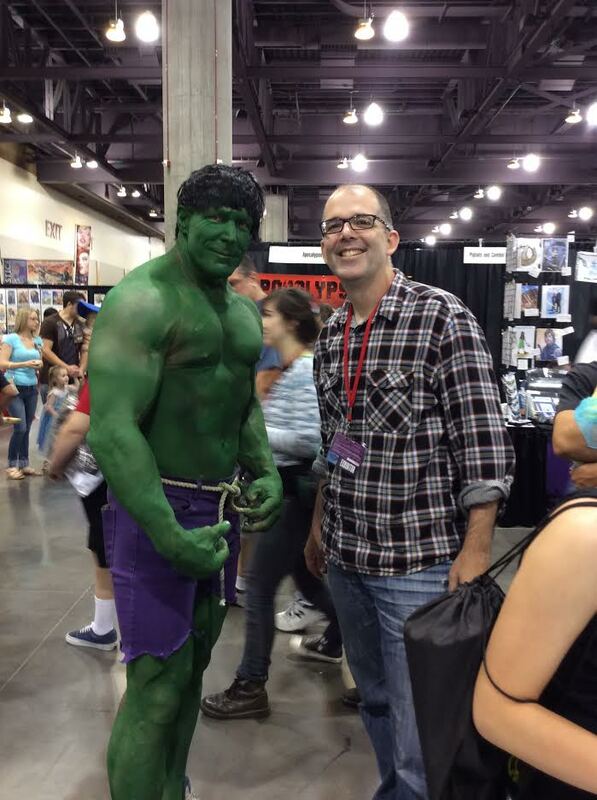 San Diego Comic Con International is the 800 pound gorilla of conventions in the U.S., drawing something like 130,000 attendees, dozens of guests and maybe 1000 exhibitors. Not as huge as Europe’s Lucca (180,000 attendees) or Japan’s Comiket (500,000+! ), but…big. Tickets sell out months in advance (as do hotel rooms) and there’s a waiting list of hundreds of hopeful exhibitors waiting for a space to free up (they rarely do). Hotels are anywhere from right next door to the convention center to being a 45 minute drive away. The vast majority of attendees to SDCCI are there for the movie & TV stars (and the experience of being at the show) and don’t care a whole lot about artists—but it is also the only convention I know of where genre paintings and drawings priced at five and six figures (and more!) sell regularly. Hollywood people have a lot of money: imagine that! A four-day membership (which includes a Previews Night on Wednesday) is $175; single day passes are $42. Professional artists (or others working in various entertainment businesses, including publishing and gaming) get complimentary passes when they register and go through a screening process in advance of the convention. A 10’x10′ exhibitor booth costs $2600 each with additional $600 if you want an endcap (a corner facing an aisle): 4 memberships come with each booth. A 6′ table in the Small Press area is $400 and is subject to approval. 1/2 an 8′ table in Artist Alley is $350: traditionally very spartan, deviantArt has been paying for carpeting, power, and promotional monitors over the last few years, making AA a lot nicer place to visit. There are no restrictions on the type of artist you are or the medium you use if you get exhibition space: you can see a little bit of everything by everyone at San Diego. Once you’re in the door, there is no additional costs to attend workshops, panels, or media presentations…well, unless you consider waiting in long lines a “cost.” I’ve never been to New York Comic Con, but hear that it’s similar in scope to SDCCI, though with more expensive hotels and much better bagels. Date: July 18-21, 2013. Location: San Diego, CA. 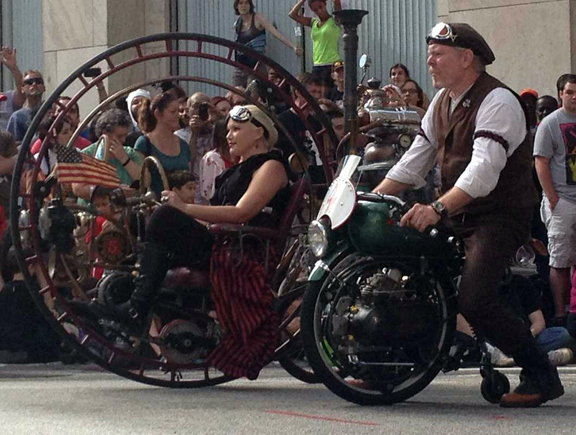 Dragon*Con in Atlanta draws something around 52,000 folks and features hundreds of exhibitors, including many artists. The convention is held in several adjacent Atlanta hotels. Guests are a mix of writers, illustrators, comic artists, and film celebrities: MC’s Dan Dos Santos was the Artist GoH this year. Cosplay is incredibly popular and they even have a parade down the streets of the city. The cost of getting in is on a sliding scale, starting at $85 for preregistration to $130 at the door. A 10’x10′ exhibitor booth is $1250 and comes with 2 memberships (endcaps are an extra cost); 2 additional memberships can be purchased for $60. A 6′ “dealer table” is $550 and comes with one membership; a second membership can be purchased for, you guessed it, $60. Dates: August 30-September 2, 2013. Location: Atlanta, GA. The World Science Fiction Convention is held somewhere different each year (fan groups “bid” to host it). They can be held entirely in a hotel or include several venues, including convention centers and theaters: everything is usually within walking distance of each other if the latter is the host. 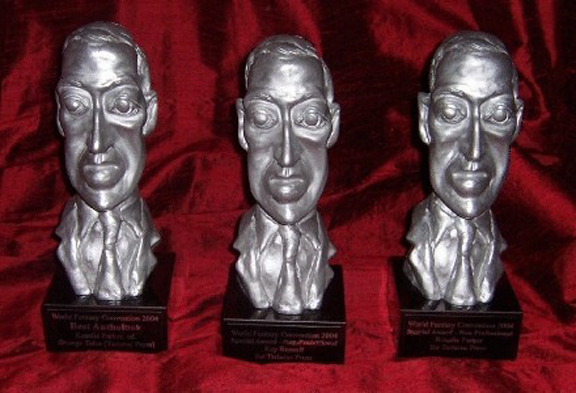 The Hugo and the Chesley Awards are presented each year at World Con and there is always an Artist Guest of Honor. 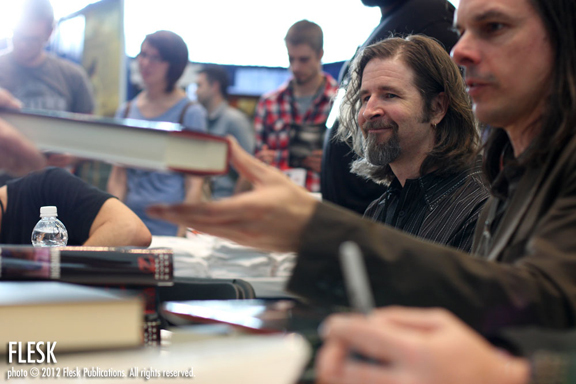 Writers, though, tend to be the stars of the convention and, while there is always some sort of programming devoted to illustration, the main emphasis is always on the fiction. The number of attendees varies from year to year, depending on the location, but it averages somewhere between 3500 and 5000 people. Artists can purchase panels to display and sell their work in the art show, but the prices fluctuate from show to show and none have been posted yet: the convention traditionally takes a commission on the price of pieces sold in the art show. Tables are available in the dealer’s room, but again, prices are pending. A preregistration membership to the 2013 con in San Antonio is currently $170 and usually is not included with the purchase of artist panels or a dealer’s table. Dates: August 29-September 2, 2013. Location: San Antonio, TX. Donato and Petar talked about IlluxCon earlier and many of the artists that have participated in the past have been very enthusiastic. Next year it’s moving from Altoona to the museum in Allentown, PA and adding an extra day. Their hotel and restaurants were not walkable in Altoona but may be in Allentown. 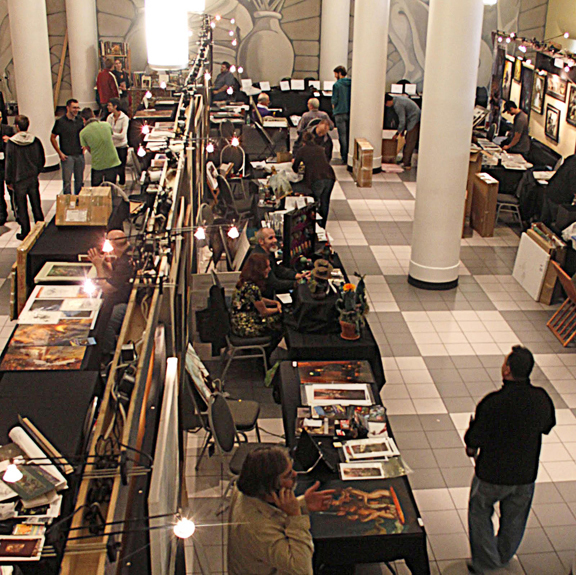 IlluxCon’s plan for ’13 includes a “Main Salon” which consists of 50 exhibiting artists and is limited to those who work with traditional media (paint, pencil, clay, etc.—no digital artists). For $350 artists get a 6′ table and a similar amount of backing wall space to display work behind it: they’ll be showing for 5 days. A “Weekend Salon” will include an additional 30 artists on Saturday & Sunday behind a 6′ table and similar amount of wall space for $250 (again, no digital art allowed). A “Friday Night Showcase” of 4 hours that does allow digital art has been announced without details. They’re a little vague about whether a memberships comes with the exhibition price or, if so, how many are included: e-mail them via their website with questions. A ticket to get into IlluxCon for 2012 was $165: demos and panels were included in the ticket price, but there were several workshops that were an additional $50 per. Attendance is limited to 300 people (100 of whom are students): in years past Sunday has been open to the public for $20. Prices for the full convention or weekend access next year have not yet been officially announced. Dates: September 11-15, 2013. Location: Allentown, PA.
Update: The cost of a full membership to IlluxCon in 2013 has increased from previous years to $175 @. The organizers have said that membership is included in the cost of an exhibitor space, but are unclear whether that is a single badge or several. Wed-Fri access will be limited to people who purchase the full membership; Saturday and Sunday will be open to the public at $20 a head per day. The hotel is not an easily walkable distance from the event space so exhibitors and attendees should plan on transportation needs (or bring their hiking boots). Like the World SF Con, the World Fantasy Convention moves around from year to year and is primarily focussed on writers, though there is always an artist Guest of Honor and art show. Structured almost exactly like their science fiction counterpart—though a tad smaller—the conventions have almost always been held in a large hotel and the World Fantasy Awards are presented at the annual banquet (for which tickets are an additional expense). ’13 will find the convention in the UK and details are still forthcoming about participating in their art show, but a table in their dealer’s room costs £70 (and don’t include a con membership, to the best of my knowledge): the cost to attend is £125 and the attendance is limited to around 1000. The art show at WFC has always been juried and has traditionally been of a particularly high caliber. Next year’s location, Brighton, is a resort city so everything should be relatively close to the venue. Dates: October 31-November 3, 2013. Location: Brighton, England. This, naturally, is only the tiniest tip of the iceberg: there is a convention or art show of one sort or another—big, small, and everything in between—virtually every weekend of the year in the U.S. and abroad, with many overlapping. If you want to start showing, do your homework, visit the event that you’re considering exhibiting at, and definitely talk to your fellow artists for their opinions and in-put. And then…good luck! This is really helpful. Going right to my students. Could you clarify…. Exhibition Booth:Dealer's Table:Artist Alley table ? Thanks! Sure. An exhibition booth is the largest single space. On average it's 10'x10' (100 square feet) with three “walls” (pipe and drapes) determining the perimeter. It opens onto an aisle and there's a 6' or 8' table for merchandise. A booth provides the most sell/display space and pretty much belongs to the exhibitor to set-up or decorate as they want. Many have pop-up displays that art can be hung from or they'll bring banners to attract attention or set up easels or rent or bring any number of other display options. They can be as bare-bones as you want or as elaborate as you can afford; the more booths you have, the more display option. “Endcaps” are usually sold at a premium price and open onto two aisles. 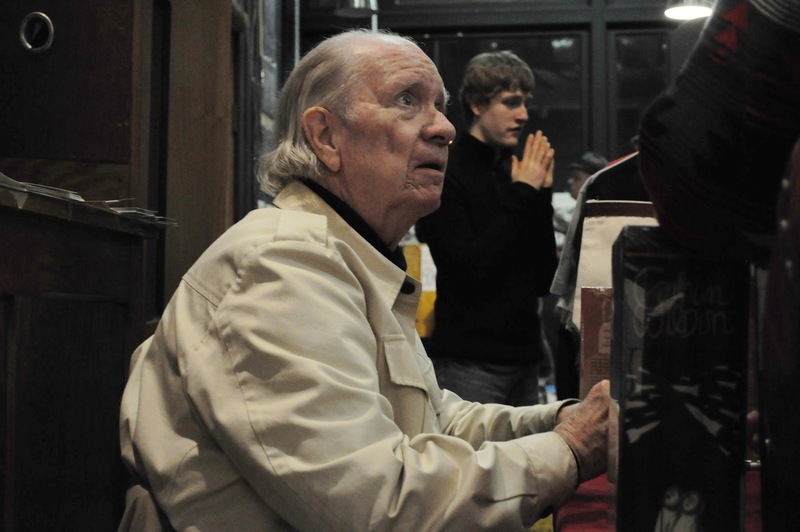 Often artists pool their resources and share a booth or purchase multiples. Donato routinely buys two booths at conventions, removing the drape walls between, and brings his own pop-up displays, lights, signage, and print racks. A dealer's table at a convention is exactly that: tables are set up one next to the other and that's your selling space. Tables can be 6' to 8', depending on the show. Sometimes there's a portable wall to hang art and prints behind the table, sometimes not. There's some room to move around behind the table, but usually not a lot because the set up is often in a rectangle with dealers behind facing another aisle. Pop-up displays are often allowed as long as they don't take up much room and don't infringe on your neighbors table/space. Shelves and easels are allowed. 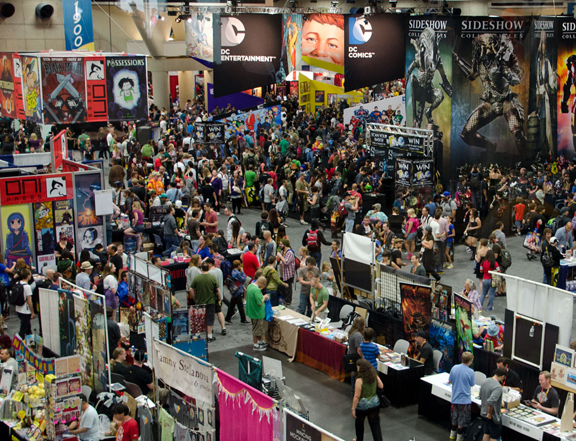 Some conventions limit the number of tables you can buy to one or two. Artists who purchase a dealer's table can sell their work without kicking a commission back to the convention (as I had mentioned in the post, the art shows often require the artist to pay the con a percentage of the price for anything that sells, particularly pieces that sell at silent auction and the convention handles the money). An artist alley table occupies the smallest amount of space: it can be 4' of table or 6' or 8'. Artists are butted up next to each other in rows and are pretty much limited in displaying their work to the table top space allotted. No special displays are allowed (though I've seen pop-up banner stands often) and the spot is more times than not extremely tight: room to sit down behind the table is about all. Which also means that the AA tables are the least expensive way to exhibit at a show. Also, don't discount the art shows at the bigger conventions as a decent means of exposure for your art. ComicCon, DragonCon and most WorldCons allow artists to mail in their work for the show without needing to attend in person. Obviously, the cost effectiveness of this approach depends upon the size & weight of your artwork (and your willingness to risk it to the whims of the various postal services). However, it can be a very good way to build up a following at a convention before you commit to attending with all the costs associated with that. Fees are on a convention by convention basis. I've paid as much as $45 per 4 x 6 panel and as little as 25 cents per piece hung. 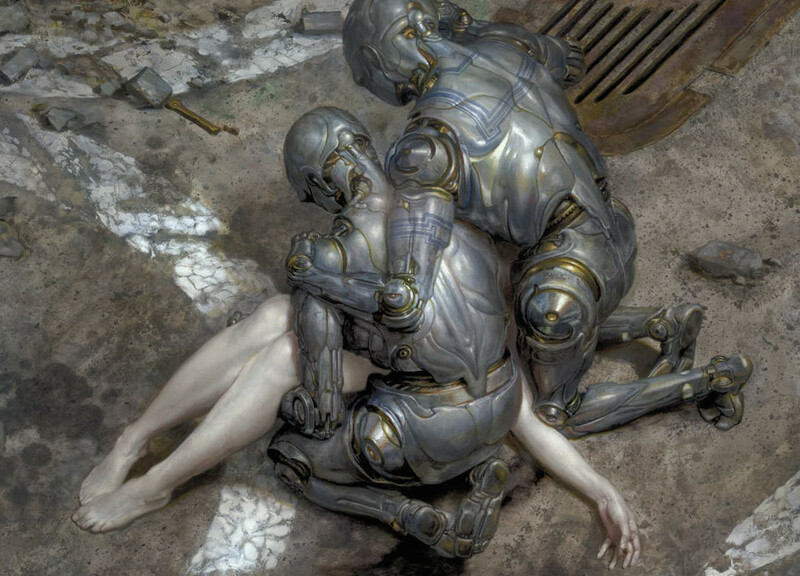 There is an excellent yahoo group that is devoted only to scifi/fantasy art shows at conventions. 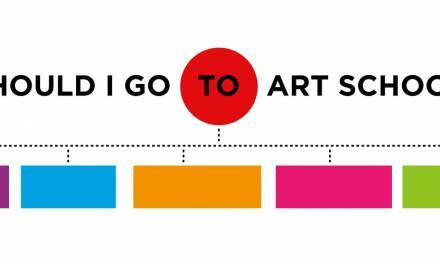 It's a good resource if you're trying to figure out which shows have a really active art show and which ones have a great artists alley. For some reason, shows seem to rock at one or the other but rarely both. Thank you Arnie, this answered some of my questions for which convention I should get a booth at.